With Christmas around the corner, we're sure your stomach is bracing itself for a festive feast. Of course, while the festive season is traditionally a time of overindulgence, there are lots of delicious, healthy fruits and vegetables that are at their best during the winter months. To help you try and stick to a balanced diet this December, our nutritionist Will Hawkins picked out 10 of the best. You'll probably recognise a couple from your Christmas dinner table. However, there may also be some surprises in store! Let's get started. Ah, sprouts. The Marmite of the vegetable world. If you love them, you won’t need any persuading here. 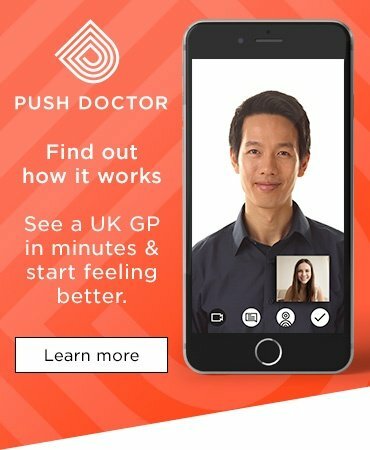 On the other hand, if you’ve only ever tried them after they’ve been boiled to an unpleasant mush, perhaps we can change your mind? They’re at their best between September and March, so it’s no surprise that they’ve become such as Christmas classic. 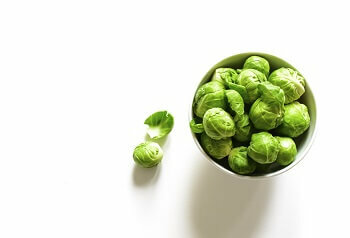 Here’s how to choose and prepare your sprouts to make them a little more loveable. Although they’re small, treat your sprouts as you would any other green, leafy veg. If the leaves look a little sad or brown, keep looking until you find ones with a nice cluster of bright green leaves cuddled around the heart. Brussels sprouts with chestnuts has become a festive classic. Blanch your sprouts in boiling water for no longer than five minutes and lightly sautée them with some halved chestnuts (which are also bang in season right now). These small, slightly sour berries are another Christmas favourite, and the number of places growing them in Britain is on the rise. Cranberry sauce is, of course, the traditional accompaniment to turkey, but this has meant that they’re often not given the chance strut their stuff in other dishes. They're a highly nutritious fruit, and with a short peak season that only runs from October to December, you need to act fast to enjoy them at their best. 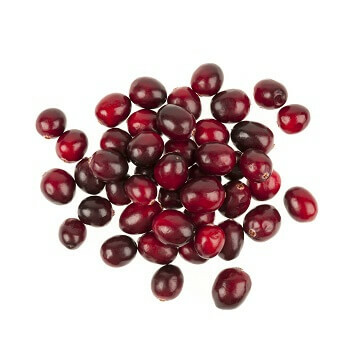 If you want the best quality all year round, you can buy a big batch of fresh cranberries and freeze them for several months. Bored of the same old sauce? Mix a handful of cranberries into your morning porridge alongside sweeter berries to provide a complementary balance of flavours and enjoy a nutritious, sugar-free start to your day. Sweet potatoes are pretty hot right now. There aren’t many bars where you won’t be given the opportunity to ‘upgrade’ your fries, but if you’re looking for a slightly healthier option, you won’t have to go far. They add a wonderful flavour to curries and soups, while their sweetness and texture has resulted in an increasing trend for using them as a base for vegan brownies. 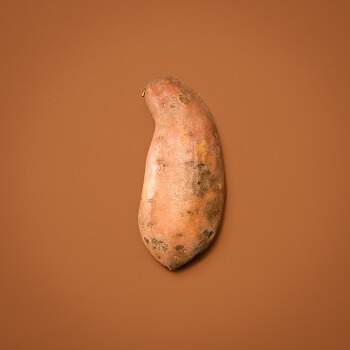 Just like regular spuds, you want sweet potatoes that aren’t bruised, broken or sprouting little green shoots. Swap your usual jacket potato for the sweet version and top with tuna or beans for a simple, filling lunch that’ll stop you snacking before dinner. A staple vegetable in any health-conscious larder, the best quality kale is found between mid-September and late February. It’s incredibly nutritious and is often talked of as a ‘superfood’. It also cooks really quickly, so there’s no reason not to have more kale in your diet. A smaller head means the kale is more tender. 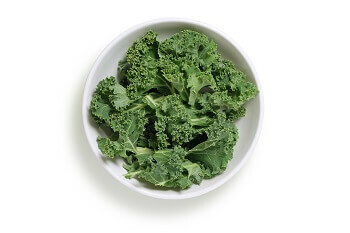 Toss some kale leaves in a splash of olive oil, cider vinegar and sea salt, then bake in the oven for 5-10 minutes at 180C to create your very own kale crisps! To get the best out of your cauliflower, you want to wait until mid-December when it’s really in season. When cauliflower is prepared properly, the flavour is quite subtle. Too long in boiling water and you’re left with a bitter end product that smells as bad as it tastes. 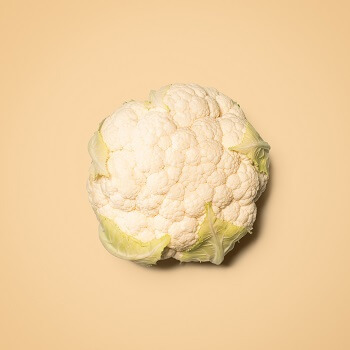 If you think cauliflower looks a bit boring and beige, you should know that there’s also a purple variety, which contains the same chemicals that create red cabbage, and a green one that’s sometimes referred to as a ‘broccoflower’. Think you’ve found a good cauliflower? Turn it upside down. If it’s really fresh, you’ll see a bright white base. To make your cauliflower dishes a little more exciting, you need to head for the spice rack. A few carefully chosen kicks of flavour can really help those innocent-looking florets find their way. Create an aromatic spice mix with ginger, cumin and red chilli, fry it in a little olive oil and soften your cauliflower florets in the mixture for around ten minutes. 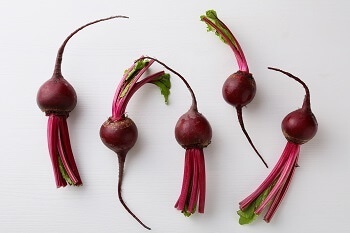 Often found pickled in vinegar at the back of a cupboard, those in the know would agree that sweet, earthy beetroot actually deserves pride of place at the heart of any winter salad. They’re easy to cook and incredibly good for you, so if you’re not already a convert, why not give them a try? Fresh beetroot stalks will stand proud and tall - if they’re wilted and droopy, look elsewhere. Have a go at making your own Shukhi, a traditional Ukrainian dish of warm beetroot and mushroom salad served on a slice of toasted rye bread. Celeriac is one of the most versatile vegetables around, and December is right in the middle of its peak season. It looks similar to a turnip or swede, but has its own creamy, nutty flavour that makes it deserving of its place on your shopping list. When cooked, celeriac creates a similar texture to potato, but with around half the carb content. It makes a lovely mash, while it’s equally comfortable as the base of a hearty winter soup, or grated raw in a homemade slaw. See, we weren’t lying when we said it was versatile! Celeriac isn’t the most attractive veg in the world, so it can be difficult to know what makes a good one. Rely on your sense of touch here - a good celeriac will be fairly firm. If you’re frequently tempted by a bowl of chips, celeriac could provide a healthy alternative. Blanch your own thick-cut celeriac chips for two minutes, then bake in the oven for 30 minutes at 230C for a tasty snack or side dish with just a fraction of the fat and carbs. While it’s mostly associated with Halloween, the pumpkin season actually runs from October to December, so it seems a shame to stop enjoying them once the tricks and treats are out of the way. Like many squash, it’s substantial enough on its own to be the main ingredient in any vegetarian dish, while it’s also delicious as a soup with its seeds toasted on top. However you choose to cook your pumpkin, combine it with bold flavours to keep yourself warm in the winter months. While the popularity of pumpkin-carving means people often go for larger varieties, if you’re buying pumpkins just to eat them, you’ll often find that the smaller ones have a better flesh-to-skin ratio. Hearty and healthy doesn’t come much easier than a baked pumpkin. Cut the lid off, scoop out around two thirds of the flesh and mix it in a hot pan with your choice of spices, 50g of basmati rice and 200ml of vegetable stock for around five minutes. 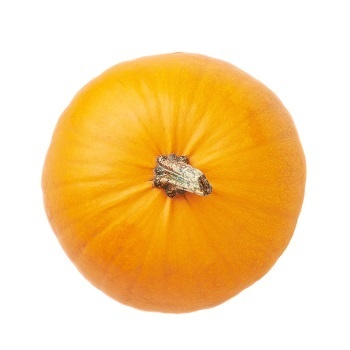 Pour the whole mixture into the pumpkin, pop the lid back on, wrap it in foil and bake for an hour at 230C. 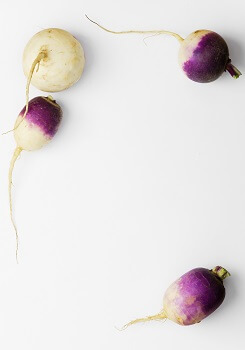 Turnip has never been the most fashionable vegetable, perhaps in part to its historical association with ‘peasant’ food. However, the winter variety has a strong, peppery flavour that can add another dimension to any dish. Make sure you get a winter turnip, which is in season, and not a baby turnip, which is at its best in the summer months. Turnips will add bulk and substance to any winter casserole, but with just a fraction of the carbs you’d find in potato. 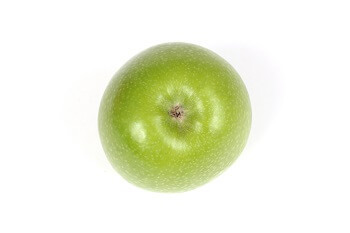 The Bramley apple is a firm British favourite, and it’s just coming into season this month. Unlike a regular apple, it’s too sharp to eat raw. However, that doesn’t mean you have to cook your Bramley apples to a pulp and bury them under a pile of sugar to enjoy them. You probably know Bramley apples best from rich, sweet crumbles and pies, but they’re actually a lot more versatile than that. In fact, they even work in savoury dishes. It’s an apple. As long as it’s not covered in bruises, it’s fine. 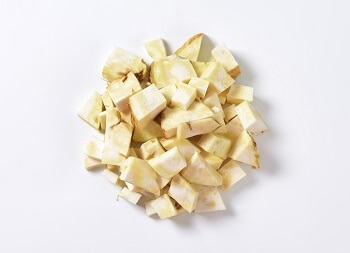 Add a couple of slices to your chicken or vegetable stir fry just before serving for a tangy depth and crunchy texture. 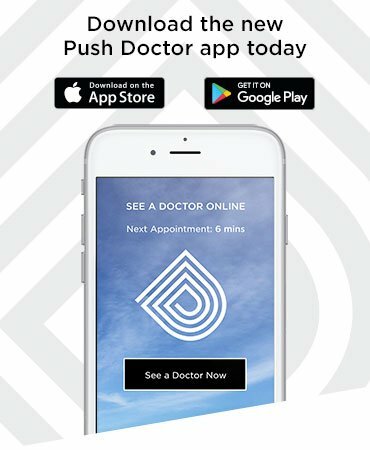 You’ve seen our suggestions, now we want to see yours! Head over to Instagram and share your artiest culinary creations - you could even win a prize in our monthly competition!